There are two types of city buses: regular buses, which tend to be crowded and potentially difficult for women travelers, and those called premium service buses, which are air-conditioned, more comfortable, and provide greater safety for women. There are specific bus stops for these buses; one can find schedules at tourist information desks. Rickshaws are an open-air form of city transportation, operated by a driver who peddles in front of where the passengers sit. 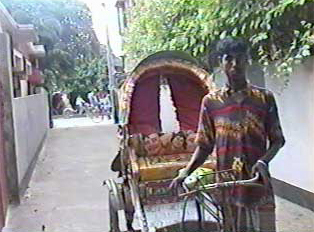 Rickshaws can be hailed by calling or waving, and one should always negotiate the price before getting in. Although rickshaws are relatively safe for tourists, they are occasionally hijacked and robbed if it appears that the passengers are carrying cash or valuables. Scooters are similar to rickshaws but are motorized.